Q&A: "Will you be checking for moisture during the home inspection?" "Will you be checking for moisture during the home inspection?" Yep, that's a common question asked by home buyers during the scheduling process. The correct answer is Heck Yes. If I were limited to only doing one single thing during a home inspection, nothing else, it would be checking for moisture. 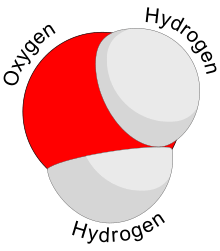 When I teach first-time homebuyer classes, I like to joke that the #1 problem we find with houses is this horribly damaging stuff called Dihydrogen Monoxide. Aka water. Water problems are the most pervasive issues that we find, whether it be from roof leaks, frost in the attic, ice dams, plumbing leaks, wet basements, or water intrusion at the walls, water issues are huge. And that's just to start. After we identify the areas that will be the most problematic, we focus on those areas. Sometimes it's thinking about wet basement issues, sometimes it's leaky windows, sometimes it's water intrusion at the siding. We look for signs of water in all of these areas. The two most difficult places to identify water issues are finished basements and exterior walls. Those are two places where we absolutely can't guarantee that we'll find water, but we sure try. For wet basement issues, we think about where water might be an issue and we poke, prod, and pull back the carpet in areas where we're suspicious. We also use pin-probe moisture meters at carpet tack strips to make sure they're not wet. Specifically, we use the Protimeter Surveymaster moisture meter. Check out the video clip below to see how this is done. For walls, it depends. 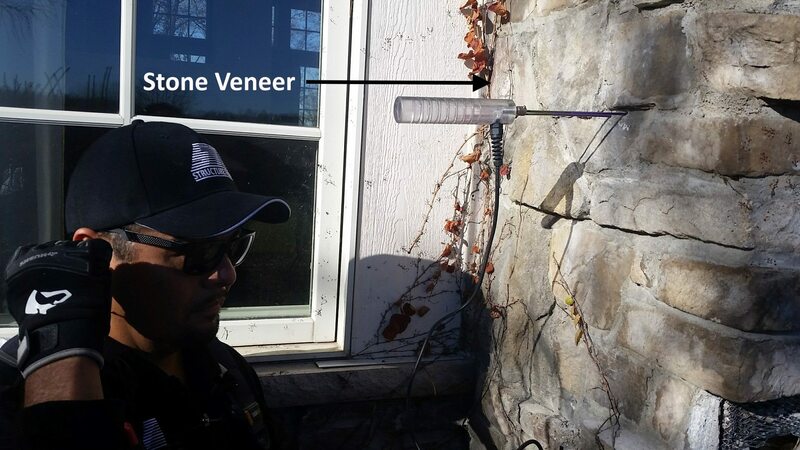 There's not a whole lot that we can do during a home inspection to diagnose water intrusion at stucco homes. Stucco homes built since the late 1980's have a high potential for water intrusion, so we recommend intrusive moisture testing on every one of those houses. Yes, intrusive moisture testing is a service that we offer, but we had been recommending this service long before we started offering it. We don't recommend this service to 'upsell' our clients; we recommend it because there is no substitute for it, and none of us at Structure Tech would dream of buying a newer stucco home without this. Oh, and for the record, stone veneer siding is stucco's ugly step-brother. It has all of the same problems as stucco, only worse. We offer moisture testing on all other types of siding, but stucco and stone siding make up the bulk of our moisture testing services. We wrote a whole blog post to address mold testing vs moisture testing. My knee-jerk reaction to mold testing is “don’t bother”. The situations where mold testing may have some value are few and far between. For an in-depth discussion of why there is little value in hiring your home inspector to test for mold, check out this article that appeared in the ASHI Reporter in November of 2010: Home Inspectors and Mold Sampling – Hype or Help? For the record, the Minnesota Department of Health does not recommend mold testing, and neither does the EPA. Q&A: Do you give repair estimates?